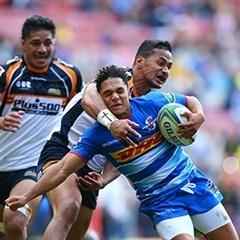 Cape Town - The Jaguares have made four changes to their starting XV for Saturday's Super Rugby encounter against the Sharks at Kings Park in Durban. The Argentinean side come off a stunning 22-20 win at Loftus Versfeld over the Bulls. Nahuel Tetaz Chaparro will play his first game of the season as a starter, while Tomas Lavanini will enter the second row. Marcos Kremer moves to flank as Javier Ortega Desio will be on the bench. Domingo Miotti, who made his debut last week and scored a brace, will start. In turn, Joaquin Tuculet returns to the starting line-up as fullback and Emiliano Boffelli will be the left wing, replacing the injured Ramiro Moyano, who returned to Argentina. Twenty-one-year-old fullback Santiago Carreras, who joined the Jaguares this year, will have the opportunity to make his Super Rugby debut. Kick-off is at 15:05 on Saturday.